​Just Here For The Beer is deeply grateful to our many sponsors whose continued support makes our mission of educating the world on all things beer possible. 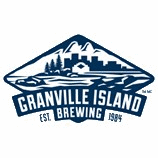 Our Brewery Sponsors include a number of the leading beer brewing companies in the Lower Mainland. Our Location Sponsors provide on-site space for us to broadcast our radio shows and hold special events. Our Feature Sponsors provide funding for our beer, wine, and spirits radio shows.